Since its inception, NI-ERP Software Consulting Pvt Ltd has successfully provided IT-based services to a large number of customers from mechanical manufacturing, metallurgy, electronics, automotive & parts, energy, chemistry, steel, tobacco, household appliances, fast-moving consumer goods and other industries. Our major customers include, Atlas Copco, Fennar, ALPLA, RACHEM PHARMA,Endurance. we have built up a complete after-sales service and support network for our customers and partners by expanding our service coverage to various parts of the country. The scope of this service includes functional testing, integration/system testing, embedded testing, performance testing, performance optimization, usability testing, security testing, localization testing, internationalization testing, compatibility testing, capacity planning and application performance management. NI-ERP Software Consulting Pvt Ltd's performance engineering service aims to help customers minimize operational risks and protect IT investment. The product testing service is offered to help customers improve the quality of software products to meet delivery requirements. The application system testing service, on the other hand, is positioned to help customers improve and promote the quality of application system effectively to reduce their operational risks after the system is launched in the future. At present, we have built up a professional testing & performance engineering service team, comprising test managers, QAs, consultants, test designers, test engineers and performance test engineers. NI-ERP Software Consulting Pvt Ltd has always been devoted to research and development of new testing technologies to expand testing scope. We have developed mature methodologies & models and have applied them in our software R&D and testing processes effectively. For the testing quality system, we have achieved CMM Level 5 certification. With complete testing quality system covering software products testing, software project testing and embedded software testing; we can make adjustments according to specific conditions to meet customers' different requirements. For project management tests, we have developed a proprietary testing management system, BUG BASE, which can provide project managers with timely and effective reference by effective bug trace and providing statistics and analysis of the project data in real time. For testing knowledge management, we have established and maintained, based on our over 100 testing projects, large testing data libraries for excellent test cases, general test cases, common bugs and risk knowledge. Functional testing is done to ensure that the tested product meets customer requirements by verifying its functions according to the designed testing examples in line with the functional specifications. Focusing on the performance index of the system, performance testing comprises of preparation of a performance testing scheme, execution of test cases and comparison between testing results and performance index to determine the system's overall performance. Performance index may include those indicating the system's capabilities of all aspects, such as its concurrent processing, batch processing and large volume data processing. Performance optimization is a professional service positioned to analyze, locate and resolve performance bottlenecks arising from performance testing. IT system optimization service includes end-to-end response performance measurement and system layer performance measurement. Through end-to-end response performance measurement we can effectively evaluate the overall service capability of the existing system and the distribution features of the resource consumption to check whether the existing system meets the customer's performance requirements and to locate the potential performance bottleneck of the systems. Based on the above measurement results, performance analysis and optimization are conducted layer by layer within the system's architecture, including comprehensive consulting services such as network transmission optimization, operating system optimization, middle ware & code optimization and database optimization. Our performance consultants interact with the customer's project manager to locate bottlenecks, fix possible faults and re-verify to eliminate any performance faults and hidden troubles in the entire application system, thus ensuring improved system performance and minimized operating risks. Usability testing is done to find out any possible fault in product features such as easy-to-learn, easy-to-use and consistency by having typical users perform typical operations on the tested product. Through usability testing, products are easier to be accepted by users and hence increase its recognition among all users. Usability testing may be executed for either early prototype or the final product. Security testing is carried out to check the effectiveness of the system permission settings and its capacity of illegal access prevention and data backup & recovery. Localization is to develop through translation, customization, parameter configuration, etc., the original language version of a software product into a new one in the target language of a specific country or region that, besides language, shall be compatible with the local time zone, measurements, culture and customs. Localization testing mainly includes functional verification, data format validation, UI confirmation, configuration & compatibility verification and translation verification. Internationalization testing is done to ensure that the developed software suits the global market without changing any systematic or structural features of the programs. This can be carried out by altering certain system design, program design and coding methods. Compatibility means adaptability. Compatibility testing includes software compatibility, data sharing compatibility and hardware compatibility. Capacity Planning is a testing service used to evaluate the correspondence between software & hardware purchasing and business growth. According to the existing business level, resource consumption and staff size, the task is to evaluate the desired software and hardware resources for a certain development trend to ensure the service level of the application system and reasonable IT investment planning. Capacity planning service can help customers optimize their existing IT infrastructures and provide an economic and sustainable IT system with high performance, high usability and high stability at a lowered total cost of ownership (TCO) for increased returns on investment (ROI) and quality of service (QOS). Application performance management is a consulting service that ensures sustainable, stable operation of the customers' key businesses. With enlarging business scales, increasing production data, upgrade of the software code and the changes of IT infrastructure, the performance of the entire system may be affected and the system may even collapse. Companies plan ahead and take efforts to effectively avoid these kinds of IT disasters. NI-ERP Software Consulting Pvt Ltd performance consultants provide comprehensive, sustainable performance management services to meet the customers' demands, including performance trend analysis, performance problems diagnosis & elimination, performance testing before new business launching as well as reliable performance data for the customers' IT planning and sourcing. 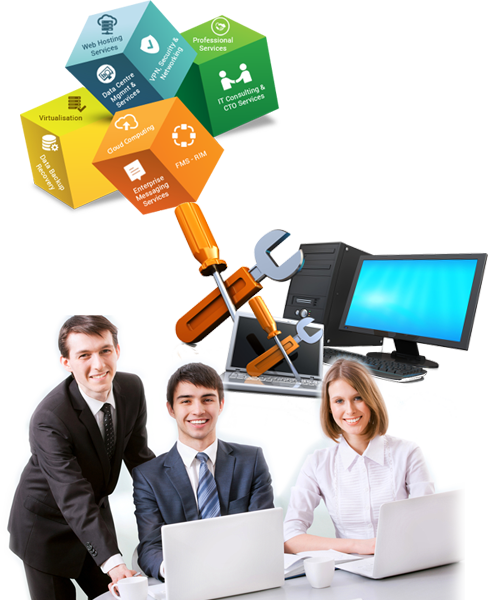 NI-ERP Software Consulting Pvt Ltd has established three IT Institutes and a Talent Training Center with an aim of nurturing sufficient professional talents with a global vision; so as to share IT human resources with customers, partners and the entire IT industry.